Thu Dec 30 20% Off Coats at Valleygirl Boutique! New! Need a winter or fashion coat? Visit Valleygirl Boutique starting December 30 through January 5 and take 20% off any coat by mention that you saw it here! Mention that you saw this special at gobreck.com to receive discount. Stop in and see why all the locals choose Base Mountain Sports! 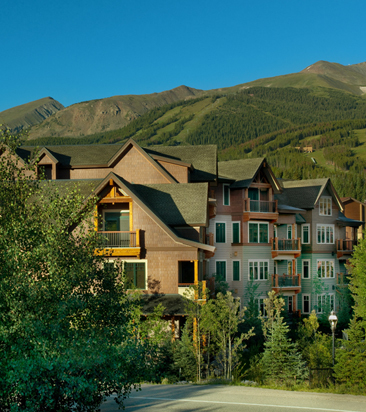 Visitors Looking for real estate in Breckenridge? Fun is the bottom line with this interactive, acoustic band. The show features a wide variety of music, audience participation, jokes, stunts, cornball humor and toasts. A folksy evening of music, dance, and comedy celebrating life, love, and community in the Rocky Mountains. Nightly drink specials every night from 8-10pm. Attached you will find the Land Title Guarantee Company November 2010 Real Estate Market Analysis from Summit County. Please note that there is ONE PDF attached with 13 separate reports for your information. Please note that the order of the spreadsheets has changed for an improved “flow”! · Summit County 2004-2005-2006-2007-2008-2009-2010 Graph Comparison ( Page 1). This graph shows 6 full years for comparison, plus November 2010 numbers. This graph shows all transactions that were recorded with a doc fee and correlates to the November Market Analysis by Area graph. * Green Text indicates an increase from the previous month’s value. · Black Text indicates the value is the same or not applicable from the previous month’s value. · Red Text indicates a decrease from the previous month’s value. · Price per Square Foot (PPSF) was also added to the last column. Visitors Looking for real estate in Breckenridge? One call does it all at Breckenridge Central Reservations. Call 888-251-2398. 5:00 pm BRC Ambassador’s Mixer! Join us for the Holiday Mixer! This is a joint mixer with the Summit County Chamber of Commerce, generously sponsored by Beaver Run Resort. Appetizers, drinks and door prizes. The Water House on Main Street Ultimate Sale – Now 40% off – Save up to $798,000!!! Water House on Main Street remaining inventory is now selling at 40% OFF – an exciting new development with high-end finishes and luxurious amenities located on the south end of Main Street and within a short walking distance to the base of Peak 9 ski area and all shops, restaurants and bars on Main Street. It was completed at the end of 2009 and some of the lucky owners enjoy it already with their families and friends. Thu Dec 9 20% Off All Rentals @ Base Mountain Sports New! 1:00 pm Fast Abstract Landscapes New! 2:00 pm Tin Shop Guest Artist Program New! Attached you will find the Land Title Guarantee Company October 2010 Market Analysis from Summit County. Please note that there is ONE PDF attached with 13 separate reports. Visitors Looking for real estate in Breckenridge? One call does it all at Breckenridge Central Reservations. 11:00 am Thirsty Thursday at the Coppertop New!